This is the portion of Columbia-Lafayette Neighborhood tageted for a hospital. CoLa contains some of Utica's oldest streets, alleyways and buildings. Watch a video, Historic Buildings, Streets, Utica NY, showing many of the buildings being threatened. Some have offered false words of "crushing" or "massive" blight and a "functionally obsolete" area. However, as "Downtowners", we see huge opportunity in addition to over 40 Businesses operating here. CoLa is too important to be Bulldozed. Others lacking vision focus on three attached buildings left vacant as a result of Utica's last bout of Urban Renewal. 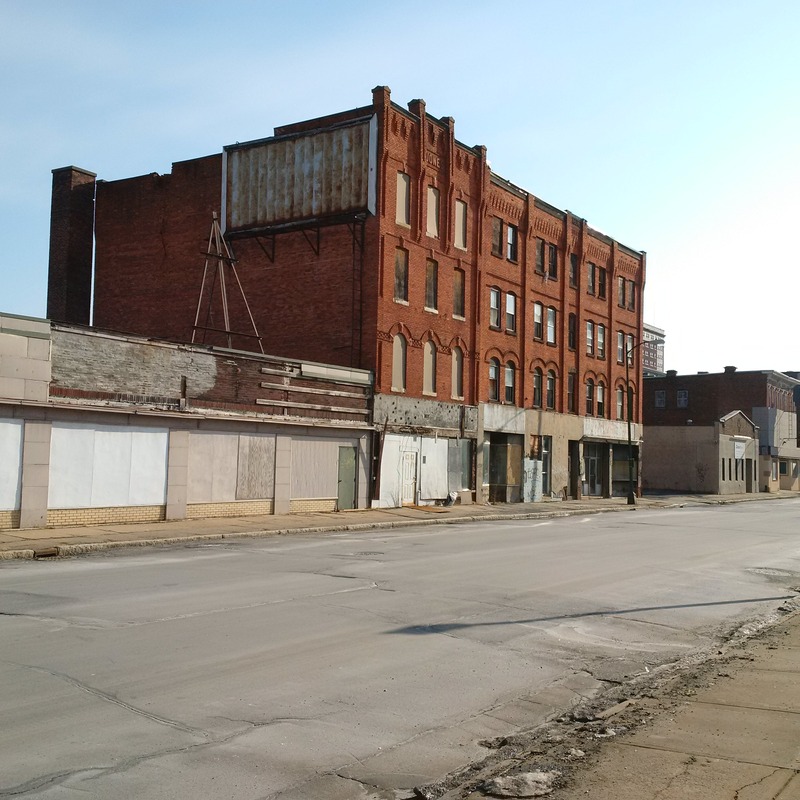 As soon as we defeat the hospital concept's Destructive Bulldozing, this neighborhood will become Downtown Utica's next "up-and-coming" development zone! 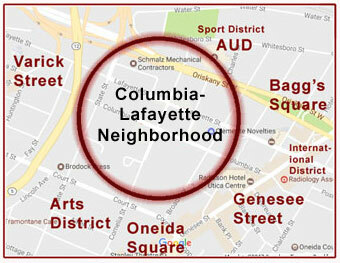 Positioned in the center of Downtown Utica's rebounding neighborhoods, we're Prime Real Estate, in the Center Of All The Downtown Utica Action! As Common Council President explains, Utica Has A Lot To Lose. 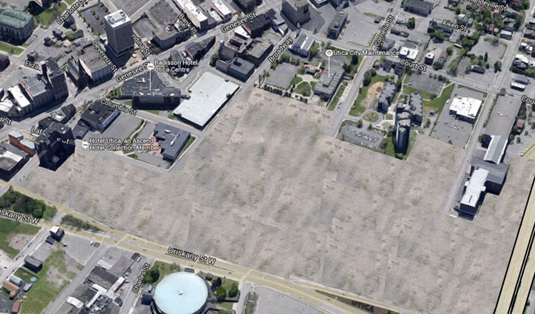 But we feel the hospital concept will fade as new developers and current property owners realize the potential.